You Are Here: Home > What is the Chrysler Employee Advantage Program? What is the Chrysler Employee Advantage Program? While there are many advantages to being a Chrysler employee, a discount on vehicles for you (or at time friends and family) is a top perk! Find out how you and your loved ones can benefit from the Chrysler Employee Advantage Program portal at Burtness Chrysler Dodge Jeep Ram. Active full-time and part-time employees, retirees, and surviving spouses all generate the Advantage Program benefits. The discounts apply to most new and unused 2015-2017 Chrysler, Dodge, Jeep, RAM, or Fiat models. 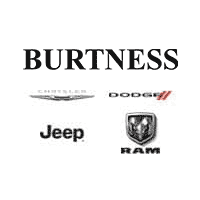 Find a fulfilling career providing quality service at Burtness Chrysler Dodge Jeep Ram near Madison, and reap the benefits that Chrysler has to offer!